Indian cricket skipper Virat Kohli has topped the list of the most valuable celebrity brand in the country for the second year in a row, with an 18 per cent increase in his brand value at $170.9 million in 2018, according to a report. 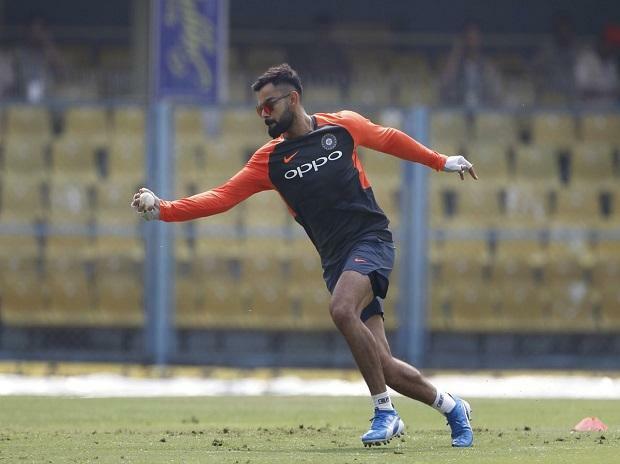 The cricketer endorsed 24 brands as of November 2018, the global valuation and corporate finance advisors Duff & Phelps said in its fourth edition of the report on India's most valuable celebrity brands on Thursday. He is followed by Bollywood actress Deepika Padukone, who jumped a place higher from the last ranking, with a valuation of $ 102.5 million. She endorsed 21 brands as of Novemebr 2018. The top two are the only celebrities with a valuation of over $100 million. The total value of the top 20 celebrity brands stands at $ 877 million, with the top 10 contributing more than 75 per cent of the total value. "The celebrity endorsement market in India has matured from vanilla endorsement deals to full-fledged partnerships through innovative routes such as equity deals and strategic partnerships... Millennial celebrities continue to be the first choice for brand endorsements as companies want to have a greater focus on the youth segment fuelled by demand in sectors such as e-commerce, retail, FMCG and smartphones, among others," Duff & Phelps managing director and Asia Pacific leader for valuation services Varun Gupta said. Bollywood actors Akshay Kumar and Ranveer Singh too improved their rankings by a place, to occupy the third and fourth position with a valuation of $ 67.3 million and $ 63 million, respectively. Actor Shah Rukh Khan slipped to the fifth place from the second position, with a valuation of $ 60.7 million. "While Bollywood celebrities dominate the rankings of the top 20 celebrities, sportspersons provide tough competition. Virat Kohli, Sachin Tendulkar, MS Dhoni and PV Sindhu collectively contributed almost $ 241 million, which is over 27 per cent of the cumulative brand value of the top 20 celebrities pegged at $ 877 million," Duff & Phelps managing director Aviral Jain said. As per ESP Properties data, over the past decade celebrity-led endorsements increased in number from 650 in 2007 to 1,660 in 2017, representing a steady CAGR of 10 per cent. Further, TV ad spends with celebrity endorsers rose from Rs 1550 crore in 2007 to Rs 6660 crore in 2017 at a CAGR of 16.1 per cent. The report noted the rising trend of power couples, as brands can target each partner's unique following and voice by tapping into a power couple's reach and impact.